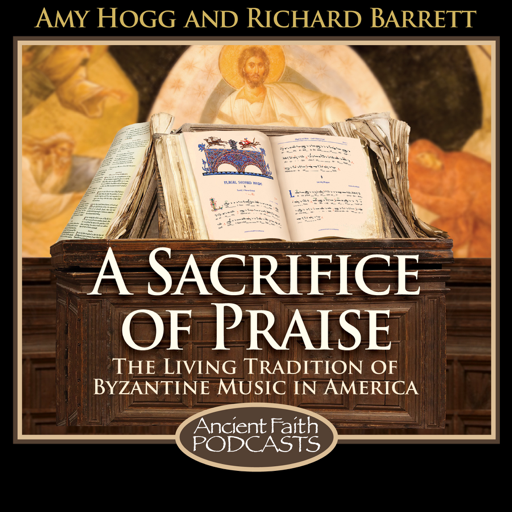 Cantors Amy Hogg and Richard Barrett discuss the state of the field in English-language Byzantine chant, exploring where we’ve been, where we are, and where we’re going. Alexander Khalil is a musician-scholar in whom many worlds come together -- among many other things, he is an ethnomusicologist, neuroscientist, cantor, and multi-talented performer and researcher of musics from China, Japan, and Indonesia. Dr. Khalil's PhD dissertation, "Echoes of Constantinople: Oral and Written Tradition of the Psaltes of the Ecumenical Patriarchate of Constantinople" is one of the foundational works of English-language scholarship for understanding the chant practices of the Ecumenical Patriarchate, and Amy and Richard had a wide-ranging conversation with him in which he reflected on several aspects of the development of English-language Byzantine chant. Part 1 of 2. © 2019 OwlTail All rights reserved. OwlTail only owns the podcast episode rankings. Copyright of underlying podcast content is owned by the publisher, not OwlTail. Audio is streamed directly from Amy Hogg, Richard Barrett, and Ancient Faith Radio servers. Downloads goes directly to publisher.